I was blessed to review this book and I wanted to share it with you because I have already been implementing Heather’s ideas about brain breaks and they are FABULOUS!! 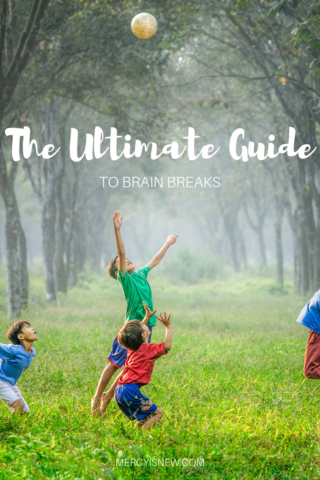 Heather Haupt, who blogs at Cultivated Lives, just released an ebook called The Ultimate Guide to Brain Breaks. 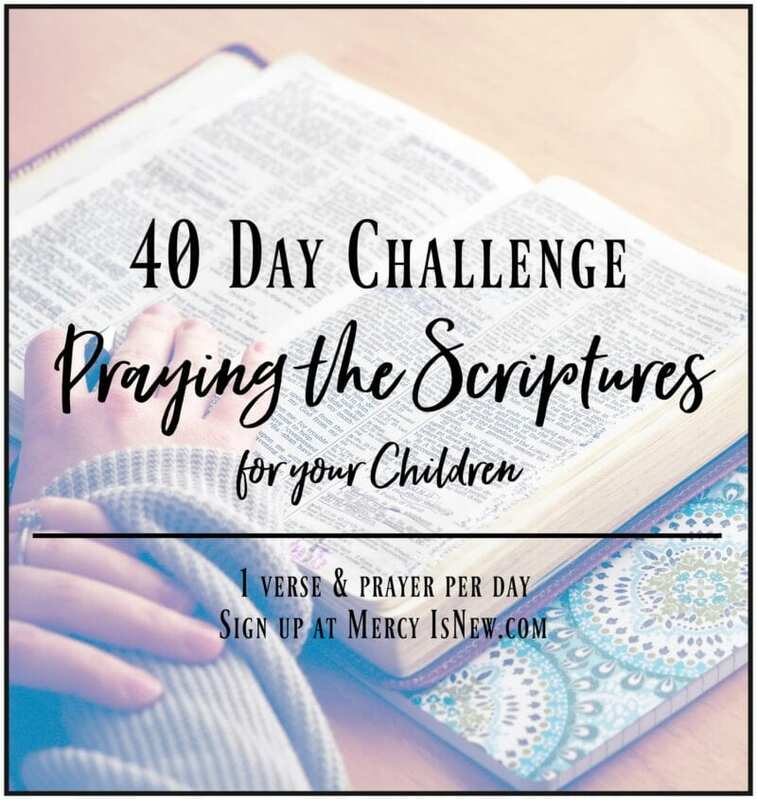 I knew as I started reading this book that Caleb would benefit HUGELY from these so called “brain breaks” that Heather recommends. Within minutes of reading her ebook, I was printing laminating and ready to implement! 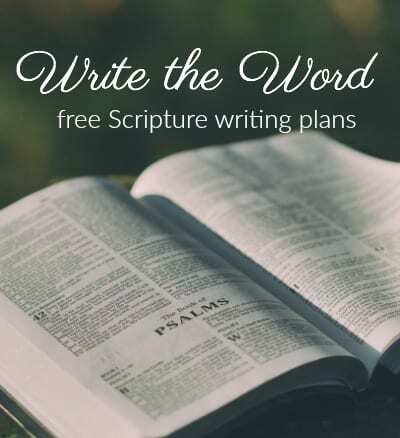 In the beginning of this ebook Heather mentions her children, homeschooled, with eyes glazed over, not hearing a word she was saying. I can relate to this. For me, we read aloud a LOT and sometimes after awhile I wonder if they are hearing a word I’m saying!! I generally stop and ask questions, but now I have a whole tool box of things to implement when we need a quick break!! Heather also shares the SCIENCE behind our brains needing movement. Being the nerd I am, I loved the science part. 🙂 But, she makes one statement to those who might want to skip the science portion, just rememeber: MOVEMENT MATTERS. If you have that knowledge, paired with her multitude of ideas for brain breaks, you will be well on your way! 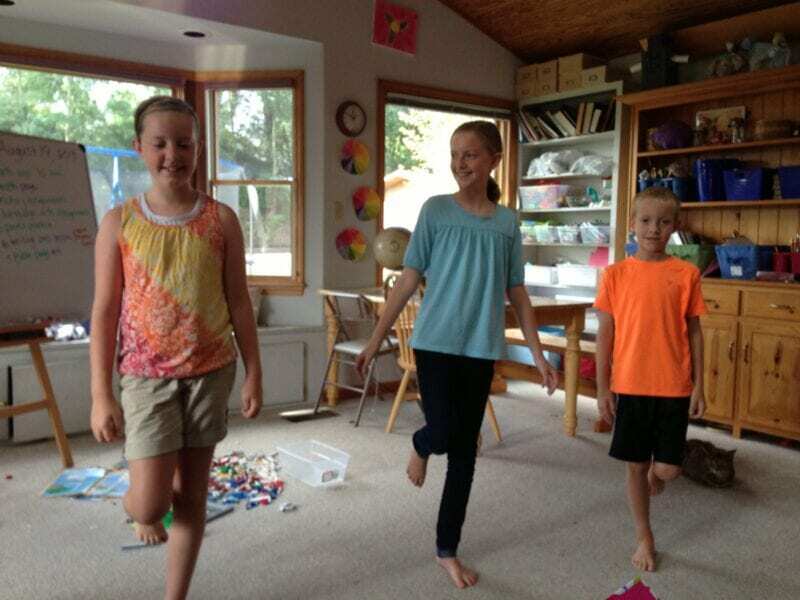 Here are a few of our brain breaks from the first day we tried these! 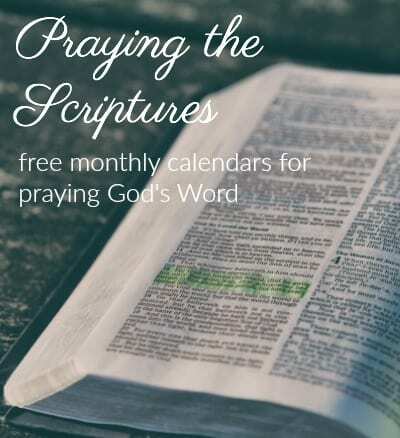 Be sure to check out another series on Heather’s blog called 10 Days to Boosting Brain Power! Lots more great ideas! 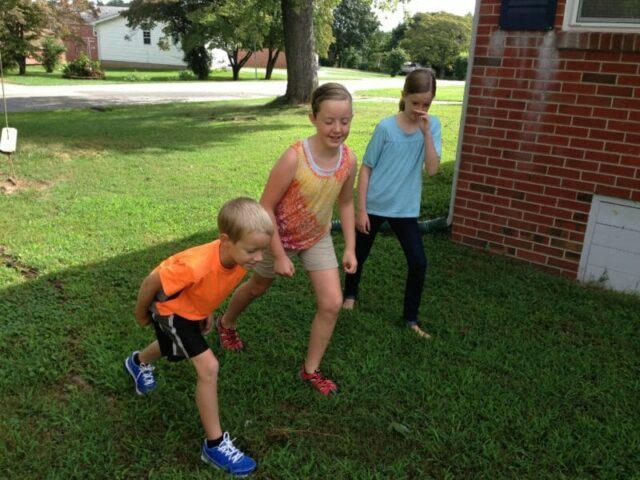 Taking brain breaks is going to become a vital part of our homeschool day, I can already tell. 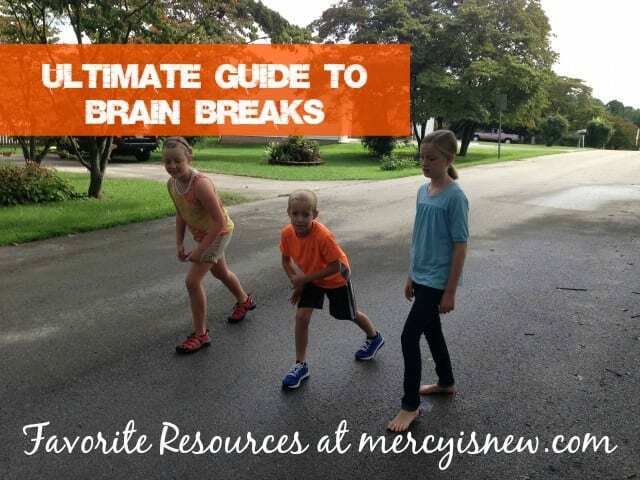 My kids were thrilled to get “a break” and for me to know that the science behind WHY it is good for us…makes me more eager and willing to give those breaks that we all need!! 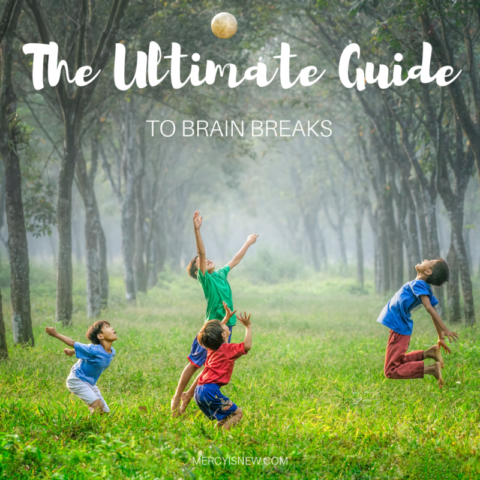 Go to the Ultimate Guide to Brain Breaks site to purchase your own copy of this ebook! !